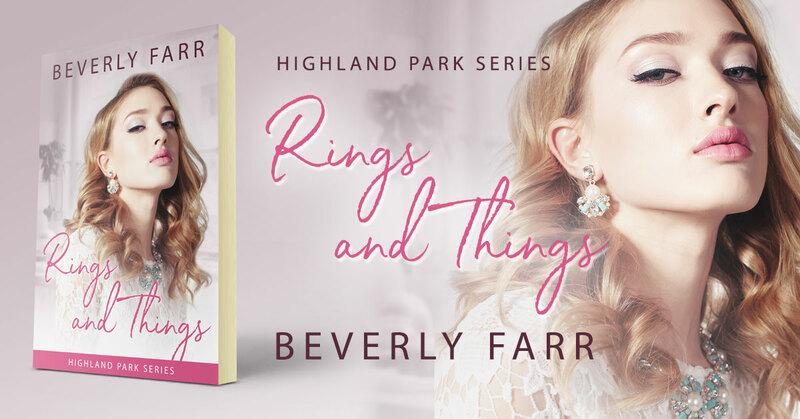 Rings and Things is a book in the Highland Park series by Beverly Farr. A jaded good girl and the man from her past. Naomi’s love life and acting career are both on an upswing, until her charming ex-husband Kirk comes back. He says he’s changed, and he still loves her, but Naomi throws a drink in his face. In her opinion, some people don’t deserve a second chance. Then he pulls strings to play Petruchio to her Katherine in a new film version of Taming of the Shrew and sparks fly in a battle of the sexes! Rings and Things is a contemporary Christian romance in the Highland Park Series. Each book of the series is standalone without cliffhangers and the books can be read in any order. Other books in the series are Her Ex Next Door and Baby Comes First. This entry was posted in Showcase Spotlight and tagged Beverly Farr, Highland Park, Rings and Things. Bookmark the permalink.